Educational app and game company TabTale has announced the launch of Crazy Labs, its new publishing brand for mobile games targeted at audiences 13 years and older. This announcement comes alongside the reveal of Disky: Air Hockey Mania, which is set for launch under the Crazy Labs brand in early March. Disky: Air Hockey Mania was developed by Playful Shark and Plaid Games. It challenges players’ reflexes, as they take on the game’s single-player or multiplayer game modes. The game sees players shooting discs to the other player’s court, like a modern game of air hockey, with different discs offering different powers and stats. The game will launch for free on iOS on March 4. 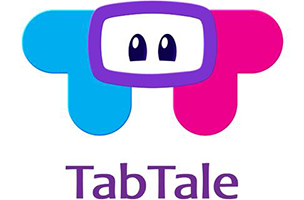 TabTale was founded in 2010, and its children’s apps have been downloaded more than 300 million times. The company has raised a total of $13.5 million in funding, led by Qualcomm Ventures and Magma Venture Partners. Developers interested in learning more about Crazy Labs can so do on TabTale’s website.